Humber Nurseries will continue retail operations at its Brampton, Ont., garden centre through 2019. 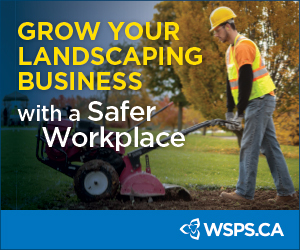 Landscape Trades published an incorrect closing date in the November 2018 issue. The land on which the business operates has been sold; operations will continue until the sale closes in December of 2019. A new Humber Nurseries business will reopen in Caledon, Ont., focused on wholesale supply. Delegates from the Ontario/Quebec border area are looking forward to GreenTrade Expo, coming to Ottawa’s EY Centre on Feb. 13. The show, attracting over 1,400 attendees and over 100 exhibitors, has been staged by Landscape Ontario’s Ottawa Chapter since 1993. Associated opportunities include an MTO Contractors Breakfast, an Awards of Distinction Gala and educational sessions on new plants and inspiring gardeners. Visit greentrade.ca for details. 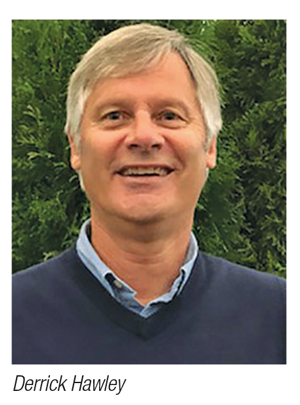 After 25 years of service, publication sales manager Steve Moyer is stepping down from sales for Landscape Trades and Landscape Ontario magazines. Moyer spent his career in publishing sales for varied markets, including hockey and travel titles. 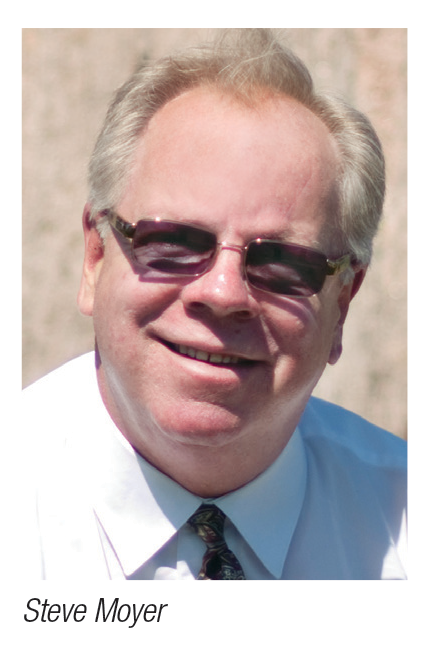 “Steve is such a valued member of the horticulture community because he never forgets the goal is to promote his customers’ success. The relationships he built over the years are based on trust and integrity,” said Landscape Trades publisher Lee Ann Knudsen. Landscape Ontario executive director Tony DiGiovanni said, “You have made a wonderful and positive difference in the lives of your customers, members and your work family.” Account manager Gregory Sumsion will take over Moyer’s responsibilities. The Canadian Ornamental Horticulture Alliance (COHA) announced Agriculture and Agri-Food Canada (AAFC) has committed funding for a five year research project, “Accelerating Green Plant Innovation for Environmental and Economic Benefit.” The project was approved under AAFC’s AgriScience Cluster Program. A total of 10 research projects will be funded through an investment of $6.8 million, including a contribution from AAFC of up to $4.6 million, supported by a further $2.2 million of industry cash and in-kind funding. COHA is a strategic alliance of the Canadian Nursery Landscape Association, the Fédération interdisciplinaire de l’horticulture Ornementale du Québec and Flowers Canada Growers. Canada Blooms hired Derrick Hawley as the new head of horticulture for the annual Toronto, Ont.-based festival. Hawley was recently a turf management and arboriculture instructor at Durham and Humber Colleges, and his educational background includes a bachelor of science in agribusiness and environmental studies from McGill University and a masters of science in agronomy from Iowa State University. “I am honoured and excited to help showcase the best of what Canada Blooms has to offer,” Hawley said. “It is a world-class festival showcasing the absolute best in garden design and landscaping. It will be a welcome challenge to help bring it all together.” Canada Blooms 2019 takes place March 8-17 at the Enercare Centre in Toronto, Ont., showcasing the theme, “A Family Affair.” For information on the festival, visit canadablooms.com. After five years of trapping and testing, government officials confirmed the presence of emerald ash borers in Owen Sound, Ont. The pest has been responsible for tree damage in nearby Meaford and Georgian Bluffs in recent years, but had not been found in the central Ontario municipality until October 2018. A city press release encouraged homeowners to hire qualified contractors with valid pesticide applicator’s licenses and who are trained to inoculate ash trees, to protect against infestation on private properties. Emerald ash borer is an invasive species, native to Asia, that has killed over 100 million trees in North America since 2002. The insect’s larvae destroy the layer under a tree’s bark, preventing the tree from transporting its nutrients and water. Two Quebec gardens were among the winners of All-America Selections (AAS) 2018 Landscape Design Challenge. Jardin Daniel A. Sequin of Saint-Hyacinthe, Que., placed second in the 10,001 to 100,000 visitor category, and Noresco at the Montreal Botanical Gardens came second in the over 100,000 visitors per year category. The 2018 theme was “Get Social in the Garden.” The Jardin Daniel A. Sequin AAS display garden was located on the site right at the entrance, which is a social gathering place. The garden showcased AAS winning plants in a terraced flowerbed with each plant clearly identified.The horticulturist team at the Montreal Botanical Garden created places for garden visitors to sit down, relax, take a photo or selfie, and then post to social media. They integrated the AAS flower bed into the novelty garden, using 25 AAS winner plants. Minneapolis, Minn.-based Bailey Nurseries purchased Dayton, Ore.-based Carlton Plants, a 128-year-old grower of bare root trees, shrubs and rootstocks. With the acquisition, Bailey Nurseries adds some 3,000 acres of production. AriensCo completed the purchase of the former Brillion Iron Works (BIW) property through the formation of a new company, Brillion Works LLC, focused on the redevelopment of the 140-acre property located in the city of Brillion, Wisc. The company will take the lead on redevelopment of the property over the next several years. Initial plans call for development zones that will include light manufacturing, commercial and residential areas. AriensCo is currently renovating one of the buildings on the site, establishing a third facility located in the city that is dedicated to manufacturing and order fulfillment. Based in Brillion, Wisc, AriensCo manufactures original outdoor power equipment under the Ariens, Gravely, Sno-Tek, Countax and Westwood brands. Winter Equipment, the Willoughby, Ohio-based winter maintenance equipment manufacturer, recently added and promoted several key personnel, as the company expands into the contractor market and continues to experience steady growth. Christina Bacnik was promoted to marketing manager and will head up the company’s municipal marketing efforts; David Fox will lead new product development efforts; Heather Huff becomes senior bid specialist; and Jason Lippincott, also a marketing manager, will head up marketing for the company’s contractor division. Doosan Bobcat North America has partnered with SafeAI, a startup company located in Silicon Valley, to research how advanced artificial intelligence technologies could be incorporated into Bobcat equipment. Through this pilot program, SafeAI plans to demonstrate how the latest AI technologies can be used to perceive complex dynamic environments around equipment and provide automated control. Milwaukee Tool, a Wisconsin-based subsidiary of Techtronic Industries, announced the acquisition of the Imperial Blades business, based in Sun Prairie, Wis. The original inventor of the universal shank for use on oscillating multi-tools, Imperial Blades was founded in 2008 and is known for new product technology such as Storm Titanium coating and the Carbide Extreme Blade.